D'Evelyn did not rule out the possibility that the incident could have been sparked by a fight between rival motorcycle gangs. He said, however, it was too early to know for sure. D'Evelyn also said that officials began receiving phone calls about shots being fired early Saturday afternoon in Chino Valley, Arizona, located in the state's northern center. There are several crime scene areas in and around the Yuma Drive area. Detectives estimate at least 50 rounds were fired during the shooting. YCSO PIO Dwight Develyn said five people were injured in the shooting and are being treated for non-life threatening injuries at Phoenix hospitals. Several agencies are continuing the investigation at the scene of the shooting as they sort out details of those involved in the incident. An event such as this one is truly terrible. It is fortunate no one was seriously injured or killed during this shootout. The biker gangs were only thinking of killing each other and that’s already bad enough, but innocent bystanders could have been caught in the crossfire. Truly terrible and nothing was accomplished. KPHO witnesses said when the firing started from the Hells Angels at the party, "a couple of the Vagos bikers dropped their motorcycles and started firing back, while the rest of the group rode uphill before returning fire. 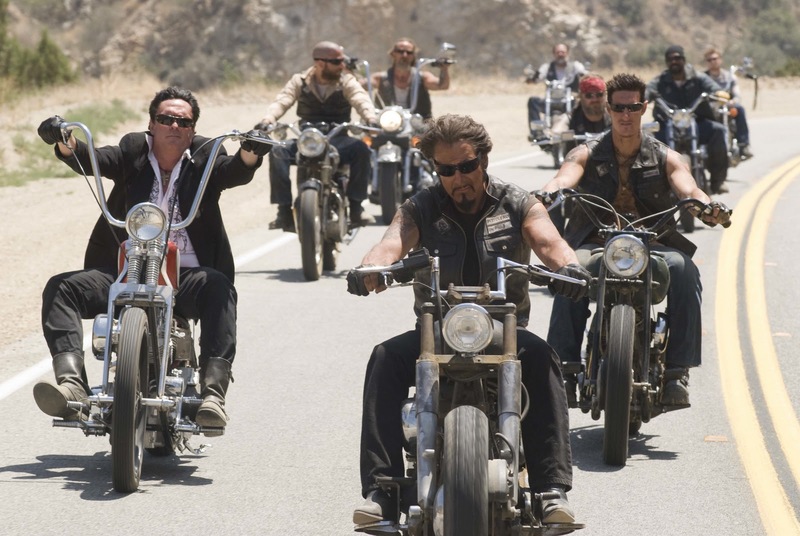 so, are those bikers in the pic Vagos or hells angels? oh! wait!! they're actors in a Rob Rodriguez 'grindhouse' movie.